Fluor Corporation, a global engineering, procurement, fabrication and construction company, said its two-stage absorption technology for ultra-sour gas treatment was honoured by the Institution of Chemical Engineers (IChemE) and Adipec. At IChemE’s 2018 Global Awards on November 1, Fluor’s technology was highly commended in the Process Safety award and Research Project award categories, said a statement from the US group. The technology is also a finalist for Adipec’s Breakthrough Research of the Year award, it added. Winners will be announced at the Adipec awards ceremony on November 12 in Abu Dhabi. 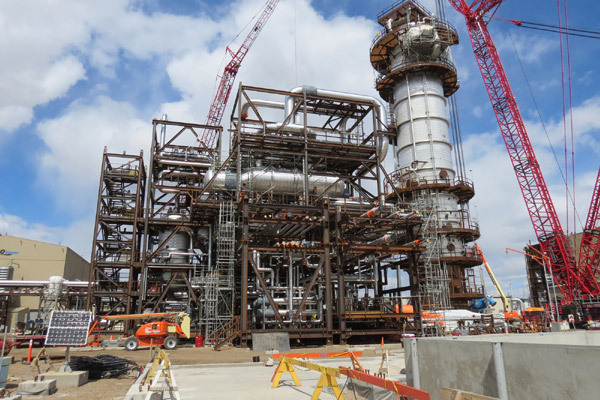 “Fluor’s patent-pending, two-stage absorption technology is a game changer for ultra-sour gas treatment,” remarked Al Collins, the president of Fluor’s Energy & Chemicals business in Europe, Africa and the Middle East. “This technology was spurred by Fluor’s work in the Middle East and will enable development of previously untouched ultra-sour gas reserves,” he stated. Fluor’s technology improves the configuration of ultra-sour gas treatment facilities, leading to improved safety, quality and costs. Use of this technology can decrease capital costs by up to 30 per cent by reducing or eliminating the need for downstream treating that is typically required for low-pressure treatment, said Collins. Fluor’s technology also reduces the safety concerns associated with typical high-pressure treatment and improves quality when compared to low-pressure treatment, he added. "This technology is one of many developed and maintained by our technology experts in southern California," remarked Maureen Price, the executive director of Business Transformation and Innovation at Fluor. "It radically improves the efficiency, safety and cost of ultra-sour gas treatment, reducing capital costs by up to 30 percent. It also helps provide a sustainable, long-term supply of natural gas to meet our world’s energy needs," she stated.